Keeping up with my giant set workouts, today’s is all about building them pumpkin shoulders. 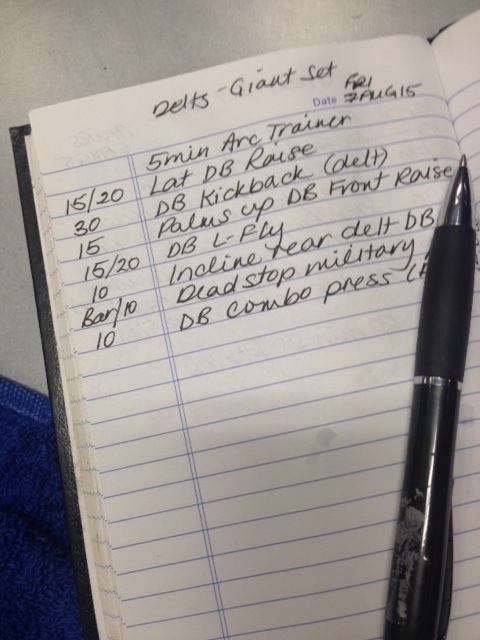 As always, I ensure I hit all sides of the delts – front, middle and rear. 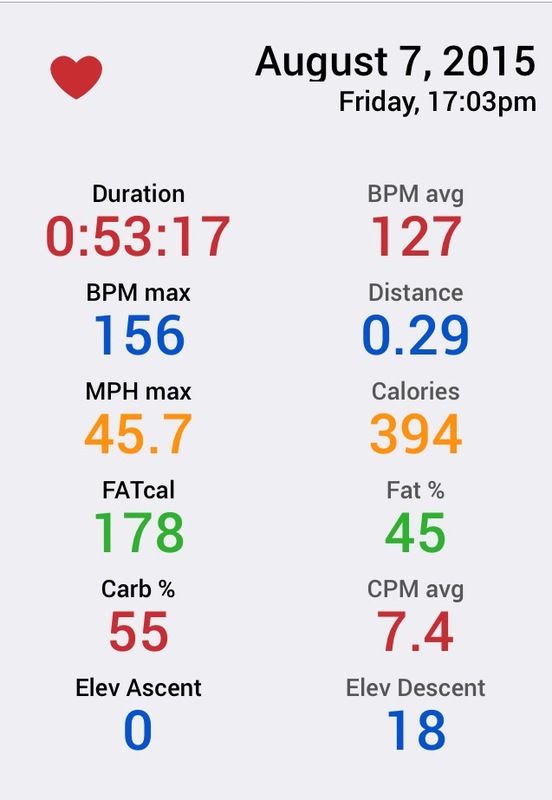 Rather than do 20 minutes of high intensity interval training (HIIT) cardio at the end of my workout, I started each giant set with 5 minutes on the Arc Trainer at a good pace and high tension. If you don’t have an Arc Trainer at your gym, the stair master or elliptical is just as good. 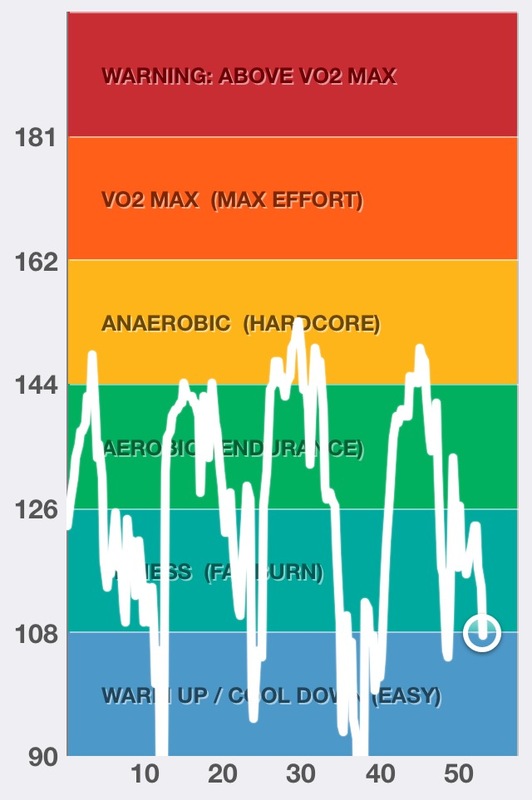 I also tracked my heart rate with my Mio Alpha heart rate monitor and Digifit iPhone app. Use a challenging weight for each exercise, but listen to your body. The shoulder is the most mobile joint in your body, which makes it the most prone to injury. Complete 4-5 rounds of each set without rest between exercises. 10 reps for each exercise. 2 minutes rest between rounds. Dumbbell delt combo: I can’t take credit for this one, I stole it from the amazing IFBB figure pro Allison Frahn. If you use a light weight it’s a great warm-up for all heads of the delts. I used it as a finisher in my giant set delt workout, but was still careful with the weight I chose because of the range of motion involved. Start with a neutral grip overhead press. When your hands are overhead, turn them so that your palms face forward, then bring your arms around and down in front of you. Control the movement back up to the overhead position, while turning your palms back in, and down into the start position. Feel those shoulders burn! Looks like an awesome workout! The dumbbell delt combo is great for me while I’m on vacation because I do not have heavy weights (I have ankle weights and 2x5kg Dumbbells), so I can still get a nice burn! Thank you for sharing and have a great start to the week!